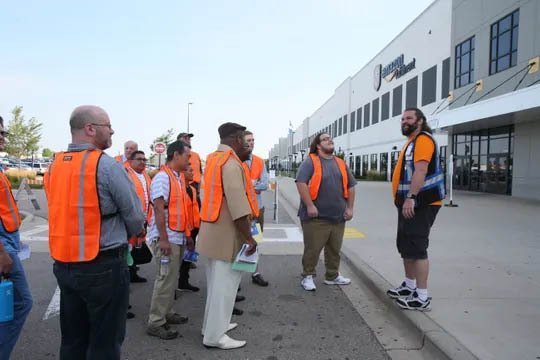 Anyone driving Interstate 94 past the big Amazon and Uline distribution centers can see that warehousing has become a key element in Kenosha County’s economy. What isn’t so obvious is this: The growth in warehousing jobs here isn’t just dramatic locally; it stands out on a national scale. And it is reshaping the Kenosha economy. “Every time I go up the highway there … I’m just absolutely amazed,” said Steve DeHaan, president and CEO of the Des Plaines, Illinois-based International Warehouse Logistics Association. Read more in the Milwaukee Journal Sentinel.